The limits between the artist and the public become ever more blurred as the idea of the author is transformed to empower the spectator in becoming the creator. Participatory and public art are today at the core of the art historical discourse, challenging our understanding of the role and meaning of art. Many artists engaged in participatory art develop projects that are incredibly interesting, but no one has tested the limits of participation as much as the French graffiti artist and mediator JR. 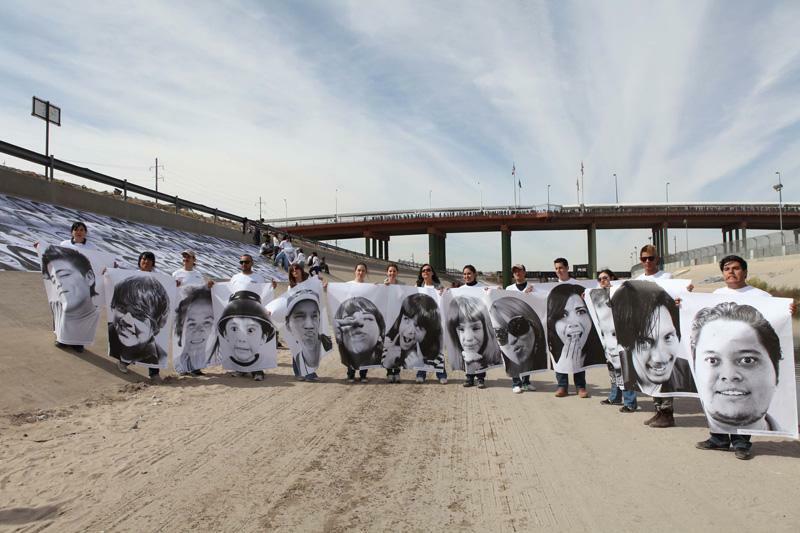 The artist’s Inside Out Project that took on a global stage has been the largest participatory art project in history. The artist has relinquished the authorship of this project by encouraging and empowering thousands of individuals and community organizations to make these projects their own, to be the artists themselves and explore the power of art. With thousands of causes that bring people together, the projects have addressed all kinds of social issues in defense of civil, human, and individual rights. The power of the image has transcended cultures and belief systems to become the medium of self representation and resistance. Not only the projects carry political and social significance, but are transformative of the life of those who participate in them. The public exhibition is no longer about art, but about people all around the world. The project as final product challenges the passer-by, while empowering the participant as they themselves embody social responsibility. The idea of the avant-garde emerged from the artist’s perception that their creative thinking and keen sensibility was capable of guiding people to the ultimate truth. To lead the way in the transformation of a world that had been devastated by WWI, which was believed by the artists to have been the result of industrialization, technology and obsessive rationalization. However, a completely changed global dynamic resulting from WWII brought a great deal of skepticism to the role of the artist as a agent of social change. Artists in the second half of the century turned their back on the commodification of art, the practice and the institutions that supported it altogether. The overall rejection to the traditional practice of art marked the beginning of conceptualism, performance, and public art as leading frameworks for the art experience. Today, the growing number of artists working in participatory art projects take us back to the idea of art being an agent of social change. The Inside Out Project is unique for its integration of multiple authors and vast accessibility to people everywhere and in every context. In this project the artist becomes a facilitator of creative experience and the idea of the artists as a superior creative being disappears in favor of collaboration and interaction. One of the most interesting aspects of the Inside Out Project, is JR’s trajectory from being a Street artist into a facilitator of participatory art. The graffiti artist works and lives in the subcultures of the streets, the danger, the anonymity and the illegality that is embodied in the use of graffiti. The motives and values that inspire the street artist have a great deal of similarity with the motives that inspire the participatory art project. Both reject the idea of artist in the conventional sense, both strive to be democratic and accessible, they reject objectification and commodification, and both have relinquished the single author to integrate participants in an interactive dynamic, where art is both process and product. JR’s call to turn the world “inside out,” is exceptional, because as a movement it combines participatory art and public art. The energy with which the the Inside Out Project moves across countries and ideologies brings together a series of elements that no other project has been so ambitious to accomplish. The projects developed by individuals and community groups around the world make use of the public space and in so doing they achieve to: activate the spectator into creator, become a strategy of activism and resistance, give visibility to the marginalized, and empower individuals to engage in and produce change. 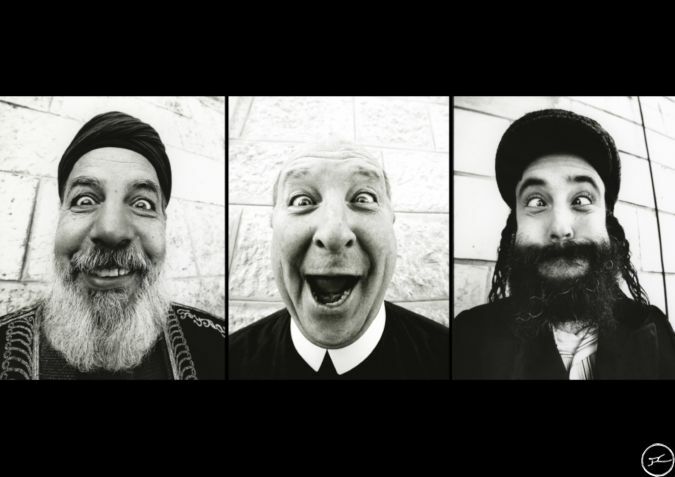 Through collaboration the Inside Out Project has taken the exhibition format and the photographic image to another level and reflect the way in which people in the 21st Century are interested in participating in the art project as a concept.